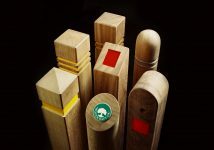 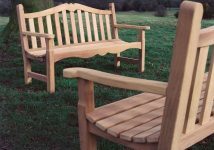 Stylish in design and sturdy in construction. 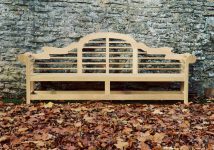 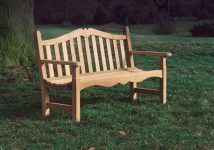 Attractive yet sturdy, and distinguished by its elaborate and ornate design, the Knaresborough memorial bench impressively demonstrates the skills and talents of Woodcraft UK’s experienced team, and serves as a perfect example of the craftsmanship and quality upon which the company has built its reputation. 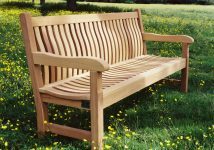 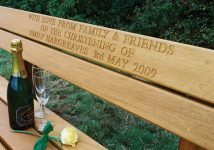 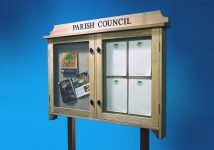 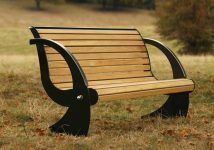 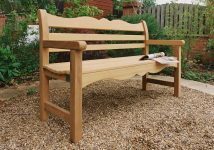 Outstanding for its elegance and practicality, the Knaresborough memorial bench makes an excellent enhancement to any garden and can carry your engraved inscription or commemorative plaque created for you by Woodcraft’s bespoke engraving service. 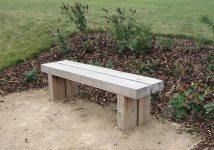 Stylish in design and sturdy in construction, the Knaresborough bench constitutes an enduring asset that will provide a welcome resting place for generations of visitors. 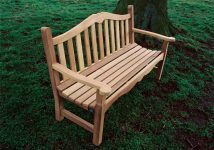 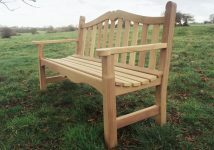 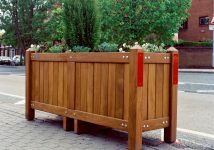 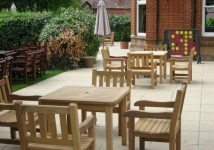 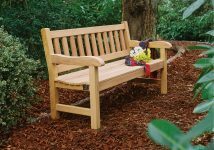 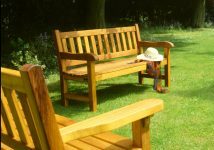 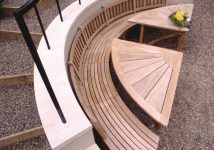 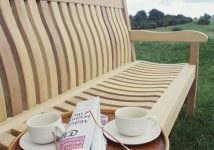 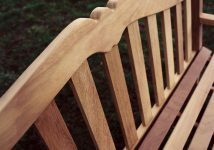 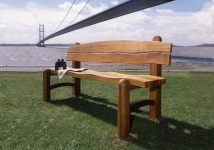 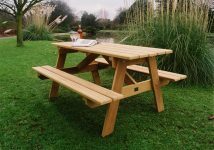 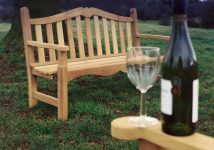 One of Woodcraft UK’s most distinctive creations, the Knaresborough wooden bench possesses those superior qualities of appearance, durability and weather resistance for which Woodcraft UK’s products are celebrated, and presents these in a form that blends harmoniously with the outdoor environment. 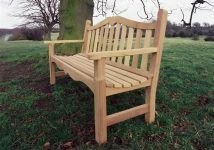 The Knaresborough solid wooden bench is suitable for use in public areas such as Parish church seating, lakeside benches, woodland seating, memorial park benches, duck pond benches and riverside seating. 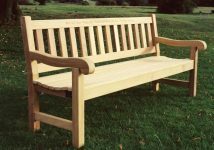 The Knaresborough bench comes as a 5' bench as standard. 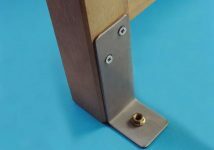 Please feel free to call us if you have specific requirements. 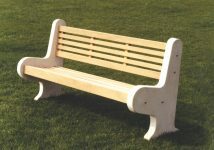 Standard seat length 5ft (1.50cm). 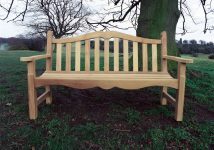 The Knaresborough bench comes as a 5' bench as standard and variations in size or shape of the top rail can be made to suit any plaque size. 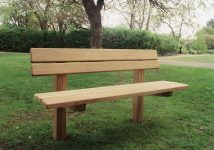 Please feel free to call us if you have specific requirements. 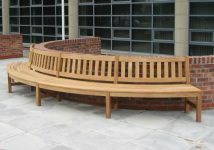 While there is only one size of bench pictured here, we have made several bespoke benches based heavily on the style and shape of the Knaresborough bench at different lengths and heights of back rests so feel free to enquire with your requirements.